Researchers are interested in the impact of gene expression and protein function not only at the cellular level but also within whole tissues, organs and even organisms. Hence organisms like C. elegans(nematode worm), Drosophila melanogaster (fruit fly), Danio rerio (zebrafish), Xenopus leavis (african clawed frog), Mus musculus (mouse) or the plant Arabidopsis thaliana (wall cress) are used as biological models for in vivo studies in a vast field of research applications. Fluorescence techniques are ideal for the observation of these organisms because they are non-destructive and can be performed over long periods. 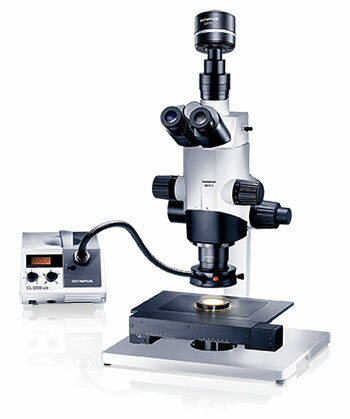 The perfect microscope for fluorescence observation in intact organisms must combine maximum detection efficiency from lowest to highest magnifications with a high magnification zoom and high NA for the resolution of fine details within organs, tissues and even cells. The Olympus MVX10 MacroView brings both of these factors together with many other unique features to bridge the gap between macro and micro observation, providing unprecedented brightness, resolution and precision.